Motorists who were hoping that the government's vehicle scrappage scheme would help them out in buying a car - only to find they are not eligible - may welcome a deal being offered by Nissan. In order to be able to participate in the programme announced by Alistair Darling this week, drivers must own an auto this is at least ten years old. 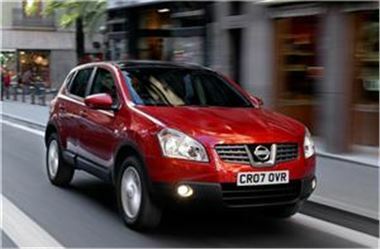 Nissan stated it believes the government has set the minimum qualifying age limit too high. In light of this, the manufacturer has offered motorists with vehicles aged between eight and ten years old at least £2,000 if they trade it in for one of the firm's new British-built models. Explaining the thinking behind the initiative, managing director Paul Wilcox said: "With Micra, Note, Qashqai and Qashqai+2 all produced in Sunderland this should ... be good news for all the staff at our plant and the British manufacturing industry as a whole." Meanwhile, Nissan recently claimed its 4x4s are some of the best on the market.